In Yu-Gi-Oh, your main deck requires at least 40 and no more than 60 cards while your extra deck can contain up to 15. You can place up to three copies of the same card in either unless it's semi-limited, limited, or banned, which allows for 2, 1, and 0 copies respectively. But more than specifications of their deck lists, players often struggle with interpreting seemingly-counteracting cards. With many complex mechanics floating around, Yu-Gi-Oh judges have their work cut out for them; luckily, several official rulings have shed some light on the most tricky scenarios. To learn the abilities and restrictions of both specific cards and generic scenarios, today we'll explore fifteen little-known rules to broaden your understanding of dueling, quizzing you along the way to test your knowledge. 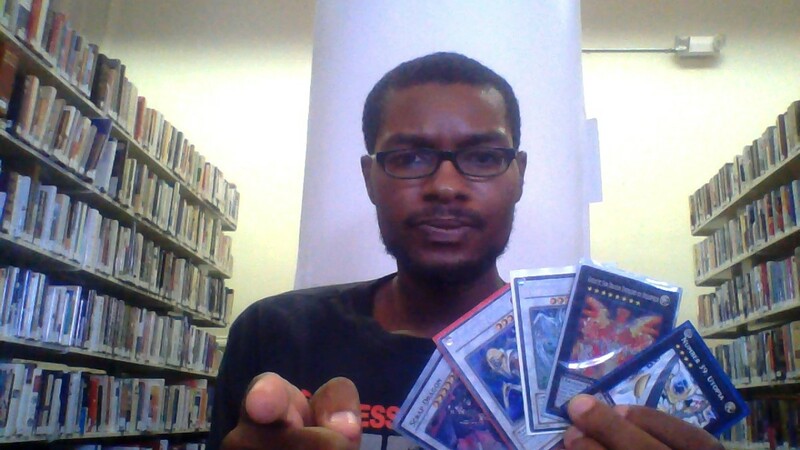 Let's get to it and learn the advanced technicalities on how to play Yu-Gi-Oh! 1. 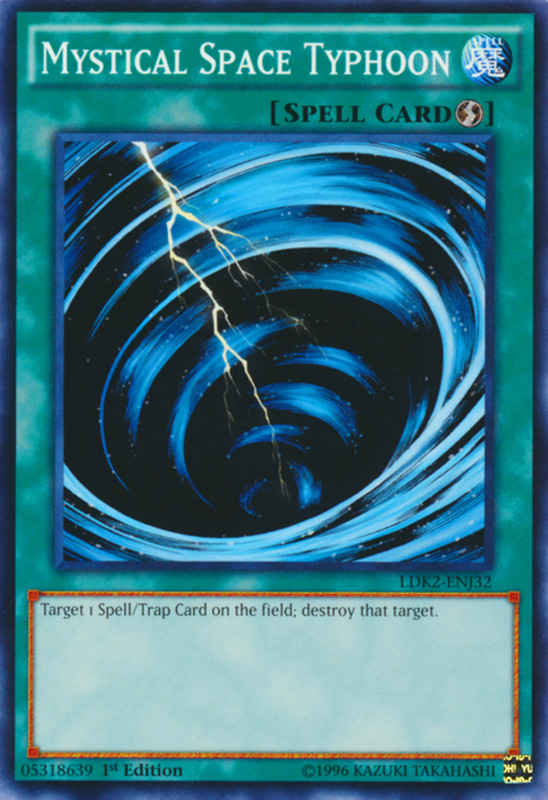 Can Mystical Space Typhoon Negate Spells/Traps By Destroying Them? Scenario: As a quick-play spell, you can activate Mystical Space Typhoon even on your opponent's turn if you set it face-down on yours. 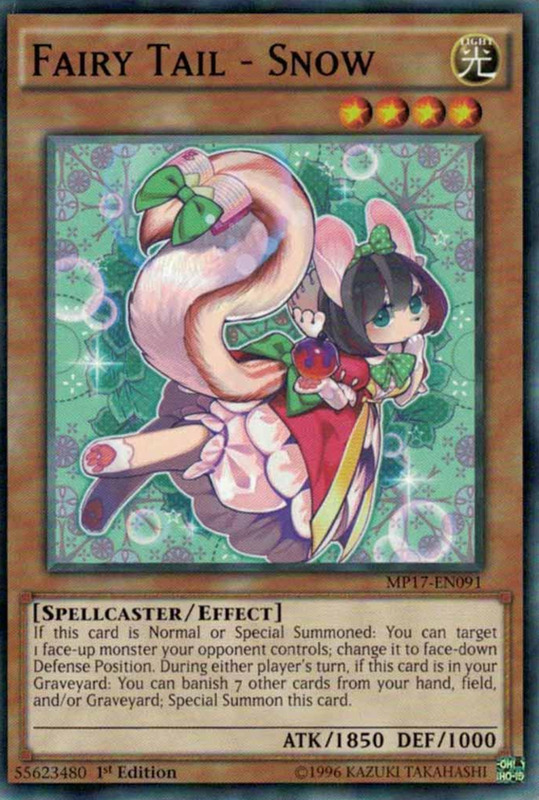 Let's say your opponent plays the fierce Raigeki, a spell that will destroy all monsters you control. Can you prevent this ability by chaining your Typhoon to target and destroy Raigeki? Ruling: No. You can try, but it won't prevent the effect. For spells, you'd need to prevent their activation, not just destroy them in a chain. However, there are exceptions; efects called "applied effects" stem from continuous spells and traps, and these rely on being on the field at resolution. 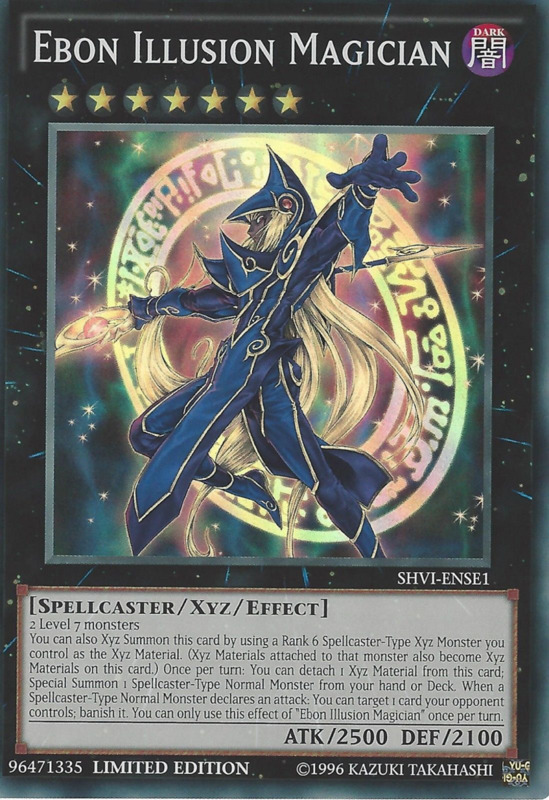 Mystical Space Typhoon never "negates" anything, but you can essentially use it to block the effect of a continuous spell or trap. Just don't waste it on normal spells like Raigeki or other noncontinuous cards. 2. Can You Negate Jinzo's Summon with Vanquishing Light? 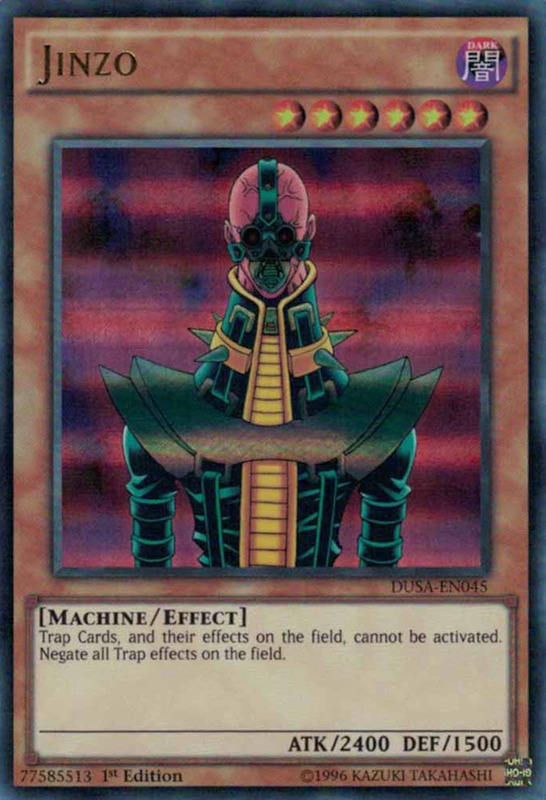 Scenario: You summon the renowned Jinzo monster, who negates trap effects while on the field and prevents traps from being activated. In response, your opponent tries to play the trap Vanquishing Light to negate Jinzo's summoning. Can they successfully play their counter despite Jinzo's trap shutdown? Ruling: Yes. There are basically two opportunities to interrupt monsters entering the field. The first is negating their entrance, at which point their effects aren't active and they're treated as having never entered the field. Light can negate Jinzo because he hasn't arrived on scene and his net isn't active. 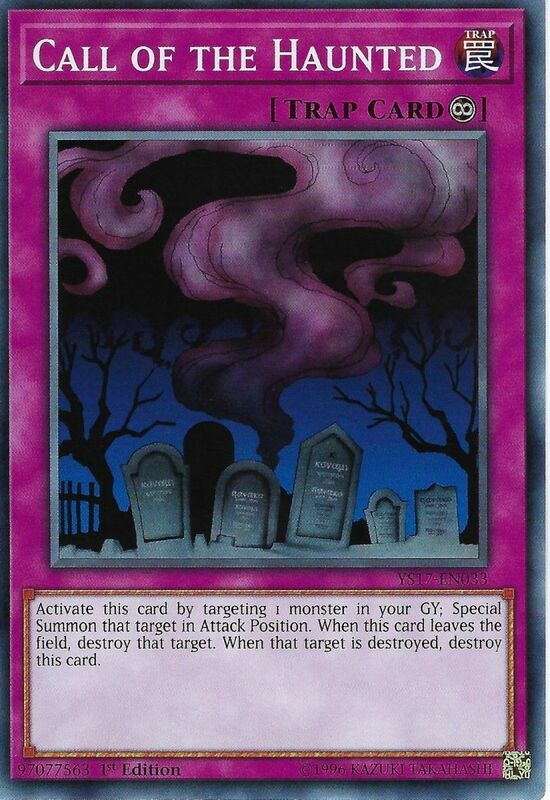 The next chance is destroying or targeting monsters who were just summoned, using cards like Trap Hole, but at this point, they have successfully entered the field, their effects are active, and if they are destroyed, any effects that trigger upon being sent to the graveyard from the field will occur. In Jinzo's case, it'd be too late to use Trap Hole because Jinzo would now be preventing the activation of traps. 3. Can You Use Call of the Haunted to Revive Jinzo? Scenario: Jinzo's at it again with his argument-starting trap interferences. This time, you activate the trap Call of the Haunted to revive Jinzo from your graveyard. It would normally attach to him and both would leave the field if either was destroyed. However, Jinzo negates traps, so can you use this combo without killing your own monster? Ruling: Yes, and it's in fact a decent play. Since Jinzo isn't fielded at activation, you're perfectly welcome to target him with Haunted. When he enters the field, Haunted's effect that attaches to him is negated, and it basically remains on your field not doing anything. Luckily, Jinzo will stay out, and will even remain fielded if Haunted is later destroyed since its effect that would take him down with it is inactive. 4. 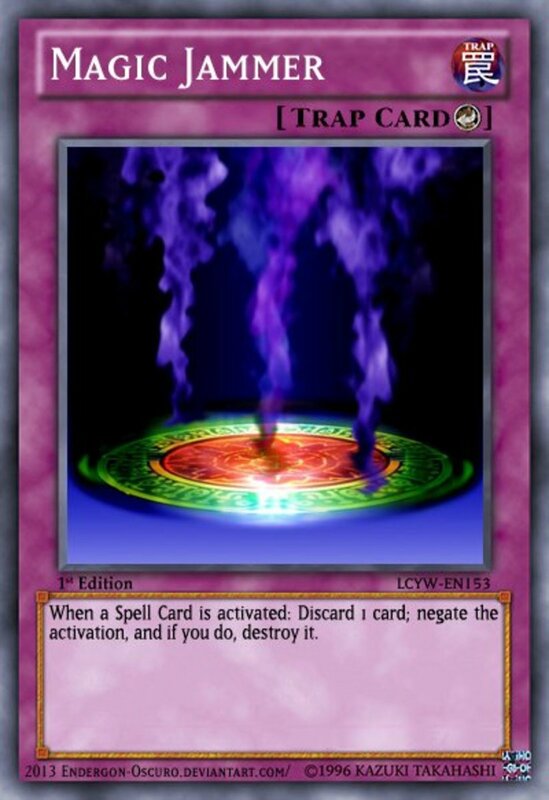 Are Negated Cards Still Activated? 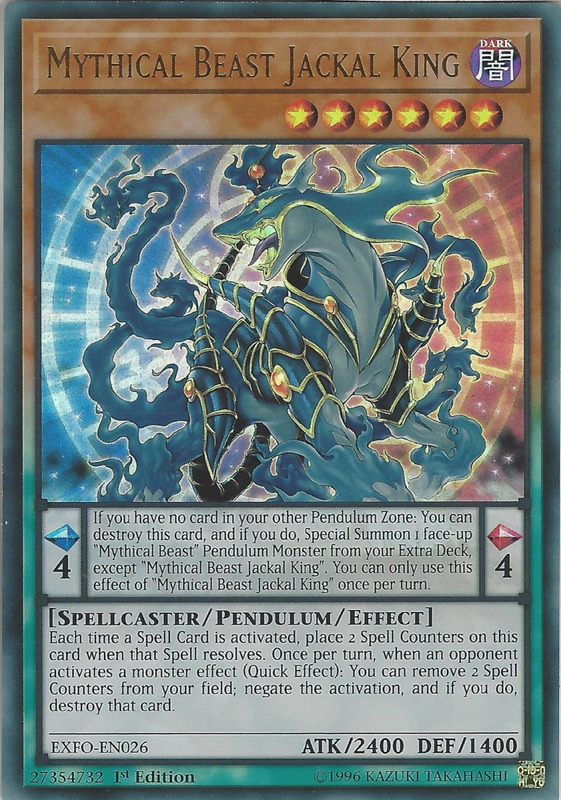 Scenario: You control the versatile pendulum monster Mythical Beast Jackal King, who gains two spell counters whenever a spell is activated anywhere on the field. 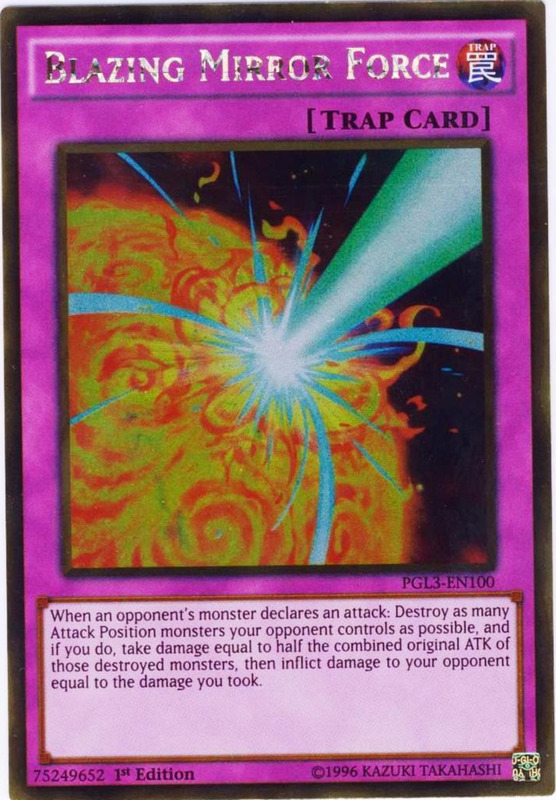 You activate the continuous spell Supply Squad, but your opponents negates it with Magic Jammer, an outdated trap that I still maintain looks like the Monster Energy drink's logo. Anyway, your spell is negated and its effects don't resolve, but was it activated, and does your Jackal King gain his spell counters? Ruling: No Pay attention to the wording of Magic Jammer and you'll see that the activation itself was negated, being treated as if it never occurred. Also, note that activating a card is different than activating its effect; Magic Jammer can only negate Supply Squad when Supply is initially played from the hand, not when its continuous effect is activated. 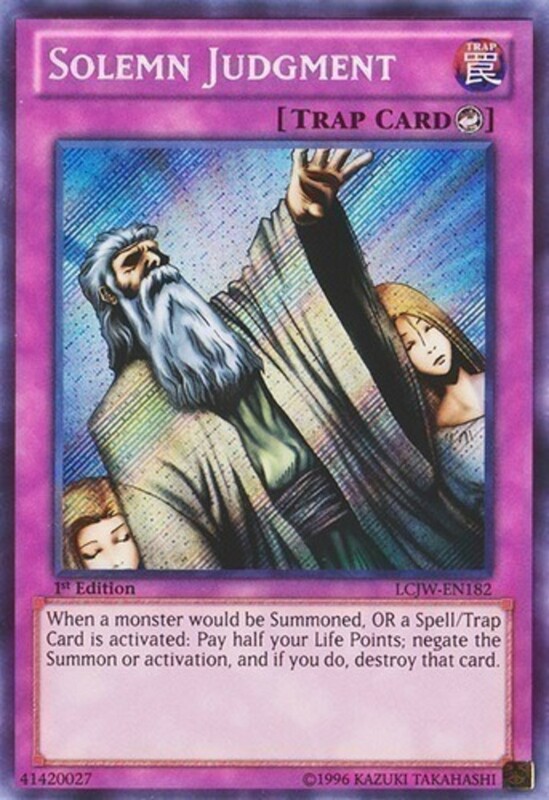 If Jammer's text instead said "when a spell card or effect is activated..." it could negate at either moment. By the way, a related frequently asked question is "can you negate a negate? ", and the answer in most cases is yes, as long as your effect can respond to the one it's trying to negate with an appropriate spell speed (see below). 5. Can You Negate a Counter Trap Card With a Quick-Play Monster Effect? 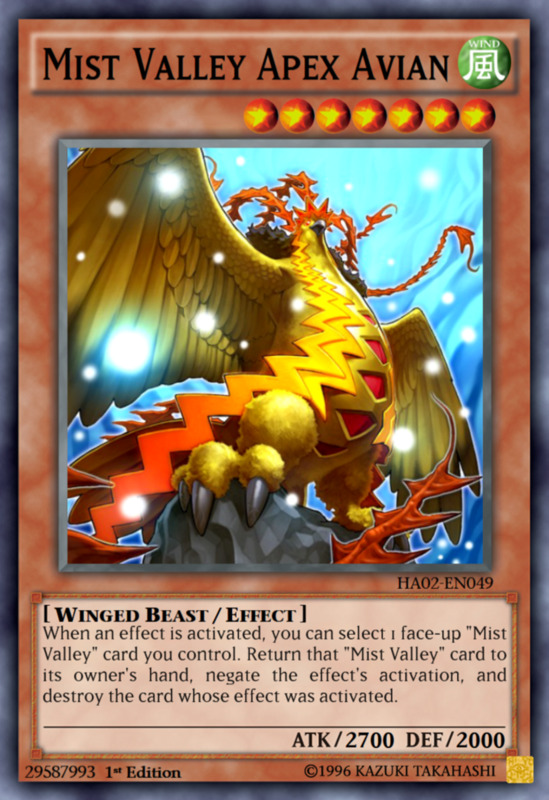 Scenario: You've successfully special summoned the powerful Mist Valley Apex Avian, who can return a Mist Valley monster (including itself) to your hand to negate and destroy an opposing card/effect on either turn. You then normal monster Baby Dragon (who you've included in your deck for reasons beyond comprehension), but your opponent counters your fledgling carnivore with the trap Solemn Judgment. Can you use Apex's effect to negate Judgment and have the summon proceed as normal? Ruling: No. As designated by the white arrow in its upper-right corner, Solemn Judgment is a counter trap spell speed 3 card, only able to be responded to by other spell speed 3 cards (which are all counter traps). Spell spell is a misleading term than indicates a card's (monsters and traps in addition to spells) power to respond to other effects. Three levels exist, with 3 being the highest; cards can only respond to effects if they have an equal or greater spell speed. Most response effects, like quick-spells, noncounter traps, and quick-play monster effects (like Apex Avian) operate at spell speed 2, not quite enough to negate a counter trap. 6. Can You Play a Quick-Play Spell You Just Set? Scenario: Here's one I bet many duelists don't know. Spell cards of all types can be activated on your turn, but only quick-play spells can be activated on your opponent's, and only if they were set face-down on the field prior to that turn. However, can you play a quick-play spell like Limiter Removal the same turn that you set it? Ruling: Surprisingly, no. You can spell other spells the same turn you set them face-down; though in most cases, if you intend to play a spell on your turn, you'll just activate it rather than set it first. But maybe you were trying to boost the effect of card like Mage Power by having additional facedowns. Ironically, despite their instant speed, if you set a quick-play, you forfeit your ability to activate it until your opponent's turn or later; it essentially follows the rules of a trap once set. Thus, be careful not to prematurely set quick-plays until the end of your second main phase. Keeping them in your hand prior to that lets them be activated from your hand (only on your turn), and if you opt not to, you can later set them to potentially use on your opponent's move. 7. Do Extra Deck Monsters in Main Monster Zones Stay When Their Link Monster is Removed From the Field? 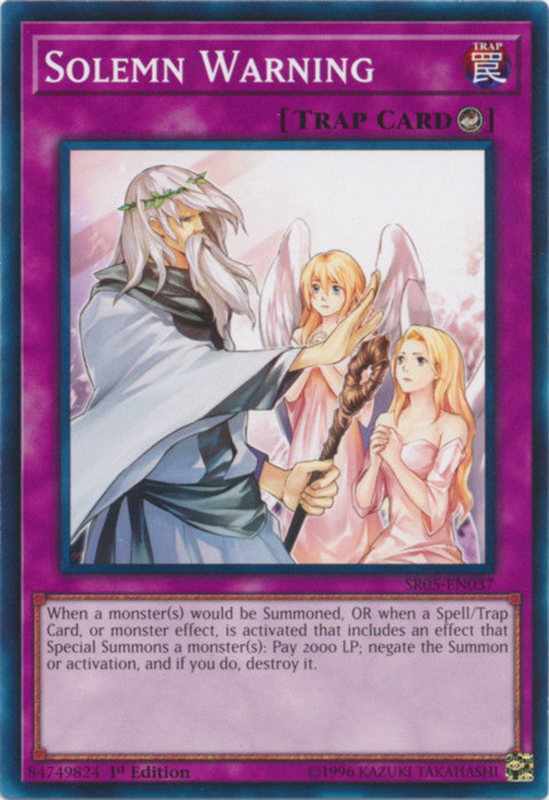 Scenario: Konami's blue-backgrounded link monsters' main benefit is opening up multiple extra deck zones for your team beyond the usual one. 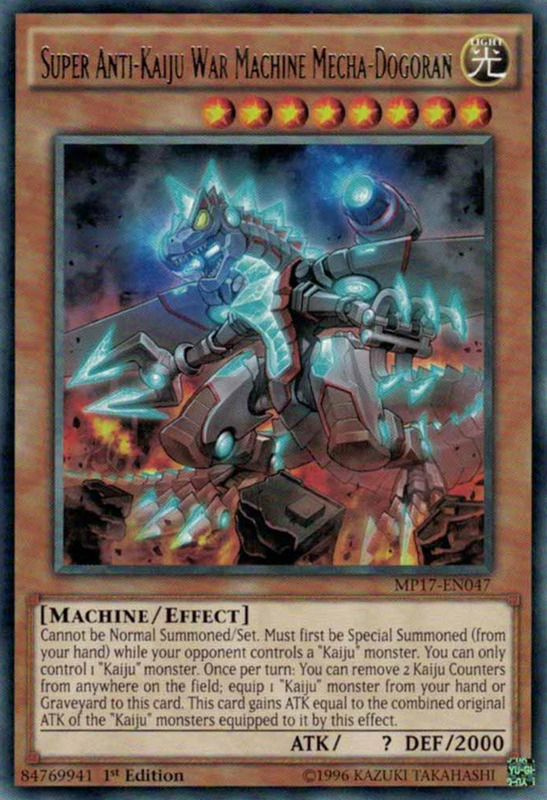 So, you've link summoned Firewall Dragon in your extra deck zone, and you use his backwards arrow to summon the fusion monster Sanwitch (yes, that's a real card). Unfortunately, your opponent successfully destroys Firewall Dragon. Now, Sanwitch doesn't have any link monster arrows pointing to it; does it stay alive in your main monster zone? Ruling: Yes. Luckily for you, an extra deck monster only needs a link monster's assistance in taking a main monster one when initially summoned. Once it's there, it no longer relies on its link monster ally to maintain its position. 8. Can You Use Mirror Force on a Replayed Attack? Scenario: Let's go over replays briefly. 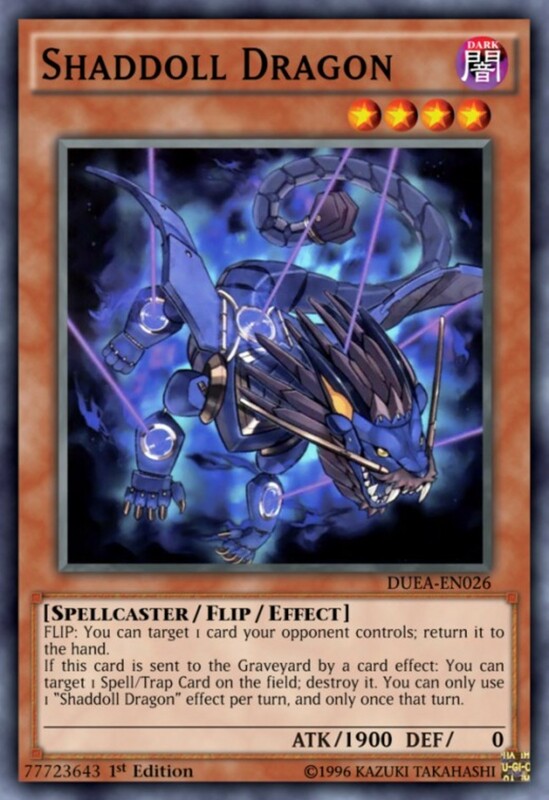 These occur when the number of monsters on an opponent's field changes after an attack is declared; perhaps your opponent triggers Ebon Illusion Magician's banish effect when their Dragonpulse Magician attacks. Thus, they banish a monster you control, replay occurs, and they have the option to cancel the attack or proceed with it, whether on the same monster or another, or even make a direct attack if you're now open. But you have the infamous Mirror Force trap set, which triggers when an attack is declared. Can you activate it now, at the replayed attack? Ruling: No, you missed your timing. Replayed attacks don't count as declaring attacks; that only happens at the initial blow. However, at that point, you could have used Mirror Force. It wouldn't have stopped Ebon Illusion's banishing effect, but it would have resolved first and destroyed all opposing attack position monsters. Pay careful attention the wording of your cards (especially traps) to make sure you don't miss their activation window. 9. Can Monsters Whose Attacks Are Postponed Wait Until Later to Attack? Scenario: This time, you're the one in control of Ebon Illusion and Dark Magician, attacking with Dark and triggering Ebon's effect to banish an opponent's monster. Replay occurs because the number of opposing monsters has changed. But can you cancel your attack, have Ebon Illusion attack, and then attack with Dragonpulse? Ruling: Prior to a 2006 ruling, the answer would have been yes, but nowadays it's no. Like we said, replays let you cancel your attack, choose the same target, switch targets, or even attack directly if all opposing monsters are now gone, but the one thing you can't do is switch the order of your attacks. Think carefully about which beasts you have strike first; if something unexpected happens and you cancel your assault, that monster won't be able to attack again for that battle phase. 10. Does Ring of Destruction Cause You to Lose Even If It Would Reduce Both Players' Life Points to 0? Scenario: You, an intellectual, adjust your monocle and brush off the piece of dust from your vermilion glove (mumsy would be abhorrent!) 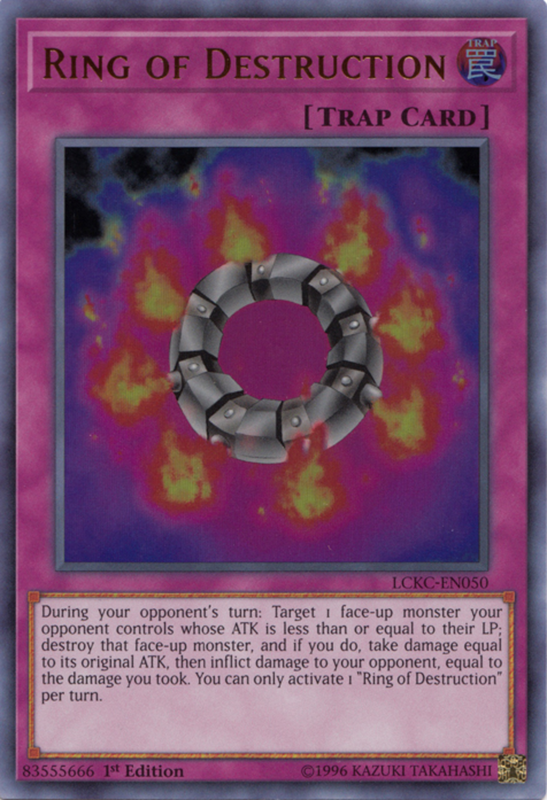 as you use Ring of Destruction to destroy your opponent's Dark Magician and inflict its ATK (2500) to both players as effect damage. But in your bourgeois haste, you forgot that this would reduce your own life points to 0 as well as your opponent's. Is the game a loss for you? Ruling: Yes. Normally, if both players' life points fall to 0 simultaneously, the game is indeed a draw. However, updated versions of Ring of Destruction separated its effects, meaning you suffer the life loss first, and your opponent only receives it if you're still alive. This helps defend official tournaments against time-consuming rematches or sudden death games that result from cards that tie the game. 11. Can Your Normal Summon Again if Your First Is Negated? 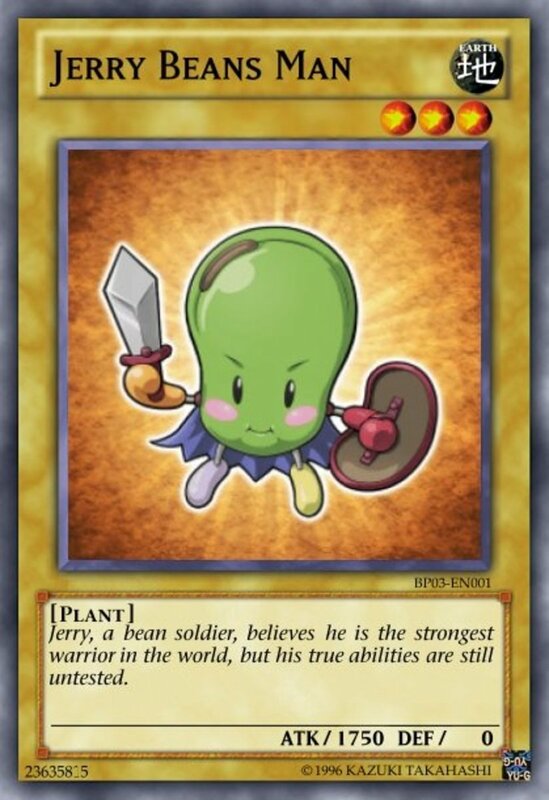 Scenario: You normal summon Jerry Beans Man (because of course you have that excellent, top-tier card in your deck), and your opponent wisely activates the counter Solemn Warning to negate your plant's arrival. Luckily, you've got an equally-fearsome Kuriboh in your hand. 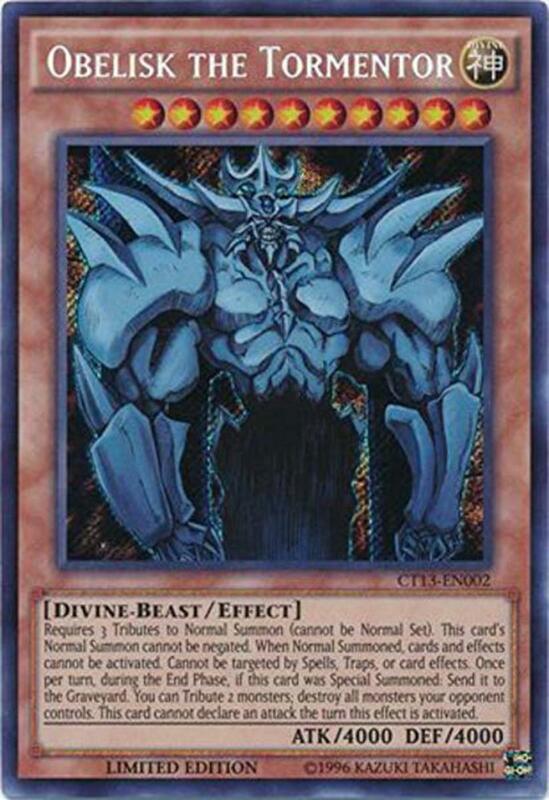 Can you normal summon him on the same turn since your first monster's entrance was negated? Ruling: No. I can see why a player might think they can pull this, so be ready with some official ruling links if you need to support your answer. Normal summons/sets can only be attempted once per turn, whether or not the summon/set successfully occurs. You've got one shot, and if it fails, you're stuck waiting until your next turn to try again (though you can special summon as many times as needed). That said, many archetypes contain cards (like Laser Qlip) to grant extra normal summons for their series, so you can still use them to attempt your second regular summon/set. 12. 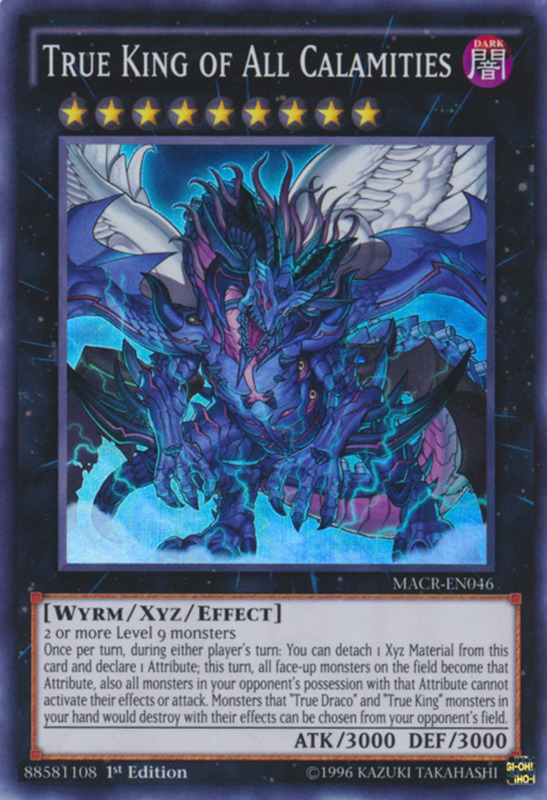 Can Monster Tokens Be Used As Xyz Material? 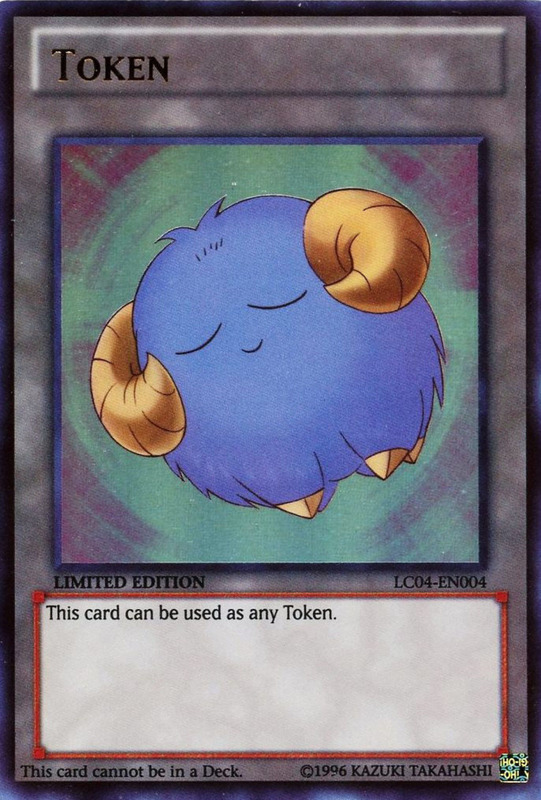 Scenario: At the end of your opponent's turn, you activate the Scapegoat quick-play spell that you had set, special summoning four Sheep monster tokens. Now, on your following main phase, can you use two of these level 1 tokens for the summon of Slacker Magician, a rank 1 xyz monster? Ruling: No. Monster tokens do possess levels, but they cannot be used for xyz summons. You also can't target tokens with effects like that of Number 101: Silent Honor ARK, which would (but can't) attach them to itself as material. That said, unless a card states otherwise, you can use tokens for tribute, fusion, synchro, and link summons. 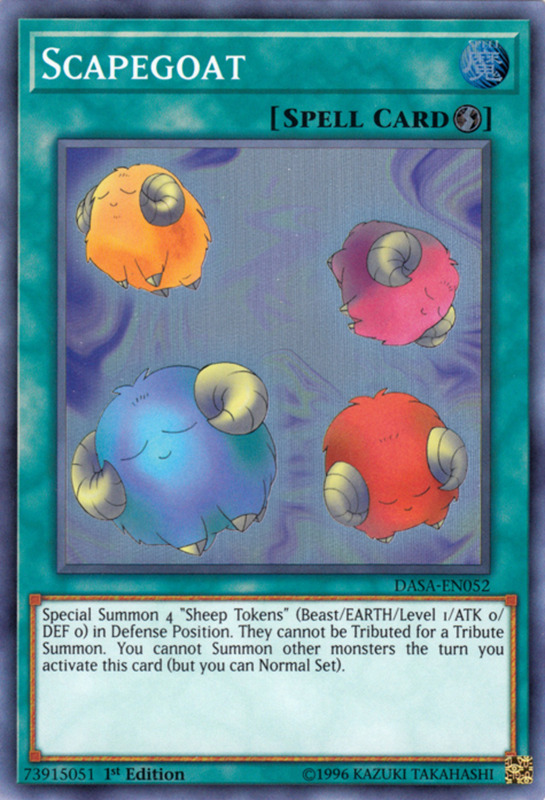 In this case, Scapegoat's Sheep tokens apply for all except the former, as Scapegoat declares the cards can't be used for tribute summons. 13. Can Bottomless Trap Hole Impact Targeting-Immune Monsters? Scenario: Yikes, your opponent normal summons one of the game's strongest monsters, Obelisk the Tormentor, whose effect states it cannot be targeted. Can you activate Bottomless Trap Hole in response to destroy and banish Obelisk? Ruling: You caught me, I took a cheap shot here. In this specific case, the answer is no because of Obelisk's other effect that states cards cannot be activated when he's normal summoned. 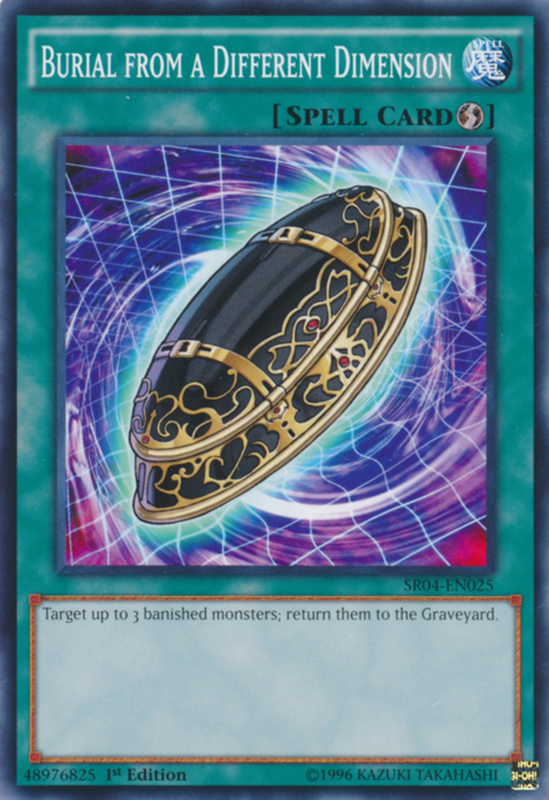 However, if Obelisk was special summoned from the graveyard, the answer would be yes because Bottomless Trap Hole doesn't target. Targeting has long been a controversial topic in dueling. A card targets if it says that it targets, but even some cards using the term "select" target as well, leading to plenty of confusion. Then there's also "choose", which usually indicates a non-targeting effect. A good practice is to look at whether your card's effect is predetermined. In this case, Bottomless Trap Hole has to activate on the summoned monster(s); there's no alternative, letting us see that it doesn't target. If that rules explanation still leaves this complex topic murky, I'd simply suggest looking up official rulings on any singles when needed (watch out for often-wrong forum interpretations). 14. Are Banished Cards That Are Moved to the Graveyard "Sent" to It? Scenario: Let's say you have a banished Shaddoll Dragon that you return to your graveyard using the spell Burial from a Different Dimension. Since Dragon's second effect (that destroys a spell/trap when sent to the graveyard) doesn't specify it has to be moved from the field, can you activate it? Ruling: Nope. Shaddoll Dragon can indeed activate its send effect even when moved from non-field areas like the hand (perhaps discarded with Lightning Vortex) or deck (sent with Future Fusion), but banished cards are a special case. When removed from play cards head into the graveyard, this doesn't count as "sending" them, so unfortunately, your ability can't trigger. 15. Do Extra Deck Monsters Returned to the Field From Timebreaker Magician Still Take Up the Extra Zone? Scenario: For this one, you've successfully summoned a fusion monster to your extra deck zone, say Blue-Eyes Ultimate White Dragon, and your opponent uses a Timebreaker Magician's effect to banish both itself and Blue-Eyes until their next standby phase. When the monsters return (assuming all zones are still unoccupied), does your Blue-Eyes go back to the extra deck zone or a main monster zone? Ruling: Since it's not technically coming from the extra deck anymore, Konami's official ruling states the your extra deck monster will now use up a main monster zone. 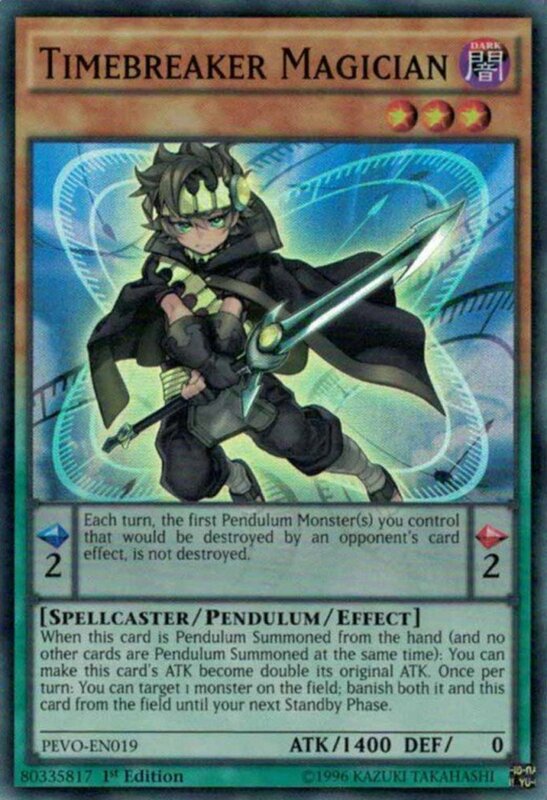 This gives Timebreaker some interesting strategic options where you can purposefully banish your own extra deck cards to have them take up less-restricted zones when they return, cementing its role as one of Yu-Gi-Oh's best pendulum monsters. Just be careful when doing this on xyz monsters since they lose all xyz materials when exiled (save this trick for your opponent's units). Armed with your knowledge of the specifics of duel mechanics, you'll be ready for a plethora of uncommon but important situations that may arise in dueling. Knowing how many cards operate against cards with opposite effects lets you know whether or not your plays will be effective, preventing you from wasting cards and possibly saving you the duel. One of the biggest advantages Yu-Gi-Oh harbors over other trading card games (like Magic and Pokemon) is that all nonbanned cards printed are still legal for competitive play. You can use cards from boosters sets of decades ago as long as they're not forbidden, preventing you from constantly having to buy the latest booster packs with each release. As great as this freedom is, it means the competitive community contains many thousands of cards and is constantly growing, making it difficult to keep up with each and every Yu-Gi-Oh ruling. But tough isn't impossible, and you're already on your way thanks to today's countdown. With many more situations left to unearth, we'll undoubtedly return to review more in-depth card guides. Until then, use today's rules to come up with new deck ideas and strategies, and I'll see you at our next Yu-Gi-Oh countdown! If a monster the can’t be destroyed by a card effect attacks and I activate Mirror Force, does the attack go through in Yu-Gi-Oh? Yes. If the monster can't be destroyed, destruction effects won't defend against it. Still, you can eliminate such foes with other tricks. For instance, Drowning Mirror Force shuffles monsters back into the deck rather than destroying them and would successfully remove even a destruction-immune unit. 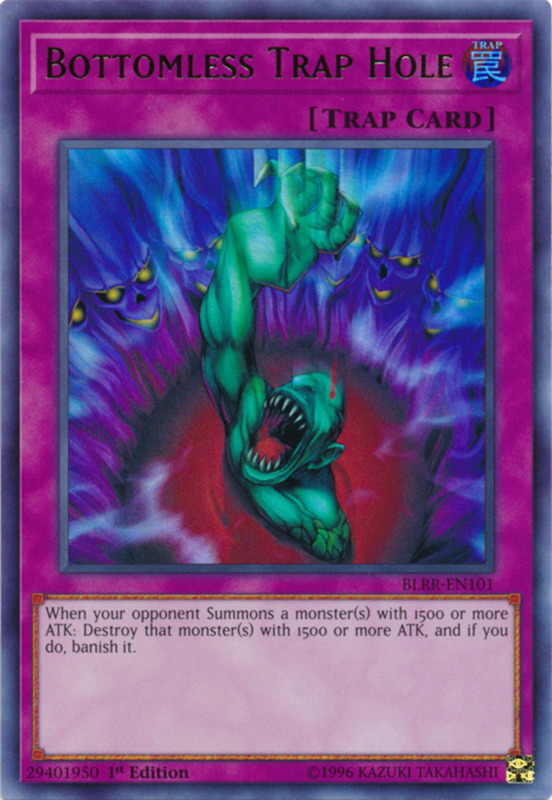 With fusion spells like "Power Bond", can you spend monsters from both the hand and field at the same time, or do all materials have to come from one zone when playing Yu-Gi-Oh? You can mix and match zones as needed (unless an effect on a card states otherwise). 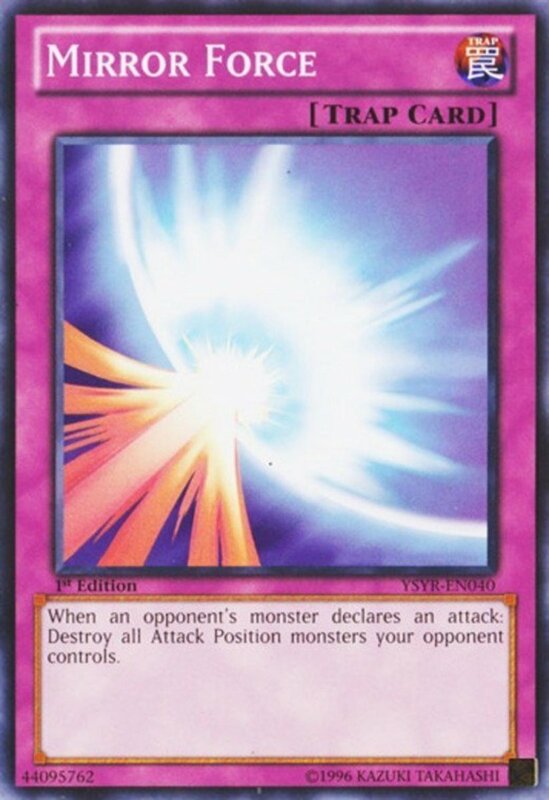 In Yu-Gi-oh, if a monster was equipped with Dimensional Guardian and I use Back Rose Dragon's "Field Wipe," does it destroy both or Guardian? Just Dimensional Guardian would be destroyed, as it shields its target from effect destruction, and that barrier lasts even in the process of Guardian being removed. 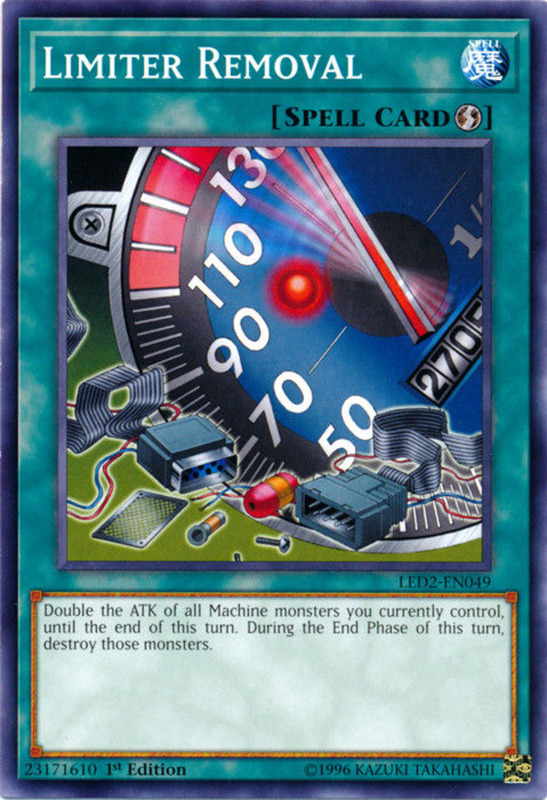 Konami very rarely states things like a card's speed in their rulebooks, especially the ones that come with starter decks. If they did it would lead to less confusion, they could put info like this in an "Advanced rulings" section.